At YMCA Camp Y-Koda a volunteer's time and talent can go a long way to help a child, the community and the environment. Volunteers come from all walks of life but they share a common trait - wanting to make a difference. Students, corporations, families, camp alumni, youth, outdoor enthusiasts, and community members all have something to offer. Sometimes the most valuable gift that one can give is the gift of time. Camp Y-Koda welcomes volunteers of all ages, and has many volunteer opportunities to match your passion, skills and schedule. There are many personal benefits to volunteering. Volunteers often experience improvement in feeling a sense of purpose and meaning, time management, mood and heart health. Volunteering also helps to reduce stress, promotes personal growth and self-esteem, helps us live longer, brings people together and strengthens the community. Ready to make a difference that will impact generations to come? To inquire about volunteering please call us at 920-467-6882 ext. 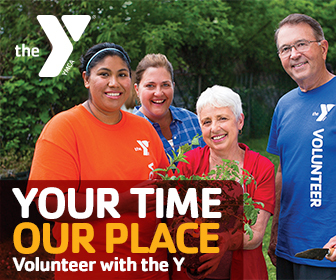 : 307 or email our Director of Community Engagement at hnitsch@sheboygancountyymca.org. Camp Y-Koda is inviting you to take action and put one of our core values - Responsibility - to work on Earth Day! We invite you and your family, team, troop, cooperation or church to come out and participate in a small project that will make a monumental impmact on the environment. Projects may include filling bird feeders, invasive species eradiction, litter collection and tree planting. Let's get outside and start protecting our environment this Earth Day to help create a healthy, more sustainable future. This event is FREE, donations welcome. To register for this event, please contact Heather at hnitsch@sheboygancountyymca.org or complete our registration form below. Summer is almost here and we have a great opportunity for you to make a difference in the lives of our summer campers! Come to Camp Y-Koda to help us get ready for the Summer Season as we have projects in all areas of camp. Bring the kids and family along to help partake in the fun projects and meet new friends before summer camp begins! This event will be held rain or shine. We invite you and your family, team, troop, corporation or church to come out and help us get ready for the summer! To sign-up for this FREE event you may complete the registration form below or do not hesitate to call us at (920) 467-6882 or contact Heather at hnitsch@sheboygancountyymca.org or Kaitlyn at krautmann@sheboygancountyymca.org for all questions you may have! The Assistant Counselor Volunteer Program offers countless opportunities to interact with children, lead activities and participate in the Summer Camp Program. Youth volunteers fulfill many different roles at YMCA Camp Y-Koda's Day Camp. Volunteers must have a sincere desire to become strong leaders, a wish to give back to the camp community, a strong work ethic, lots of energy and creativity, a positive attitude and the ability to put children's needs ahead of their own. The objective of this volunteer program is to better prepare the participants to be future leaders, in or out of the camp setting. This is done through hands-on experiences, guidance from staff members and of course, training. For 2019, our camp requires all volunteers to partake in our Counselor-In-Training Camps, that are offered twice this summer, or attend a mandatory training to learn the expectations and duties of an Assistant Counselor Volunteer. These trainings will cover ice breakers and games, becoming a positive role model, communication and teamwork and mission of the YMCA and Camp Y-Koda. In ordered to be considered, applicants must have completed the 2019 Counselor-In-Training Camp or a mandatory training session, to learn expectations and duties, and must be 14 years old or older to apply. 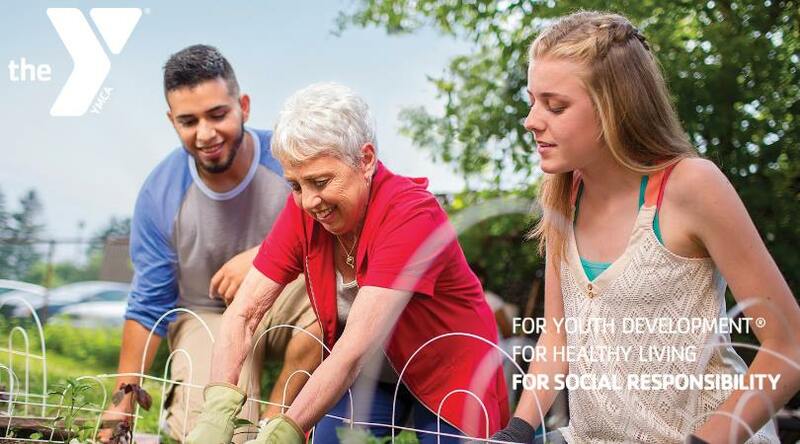 Any child who volunteered in 2018, under the age of 14, will be grandfathered in for eligibility for summer 2019. While it is not required, we suggest applicants have attended Y Day or Resident Camp in the past or have previous experience working with children. If you have volunteered with us in the 2018 Summer Camp Program and wish to volunteer in 2019, all returning volunteers must follow the same guidelines and application process as a new volunteer applicant. To apply to become an Assistant Counselor Volunteer, please contact the Summer Camp Director, Kaitlyn for an application at krautmann@sheboygancountyymca.org or contact Camp Y-Koda at (920) 467-6882.